Provide comfort for the family of Joshua Murr with a meaningful gesture of sympathy. 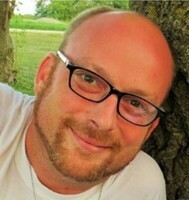 Joshua Lee Murr, age 38 of Edina, MO, passed away Friday, March 22, 2019 in Kirksville, MO. He was born January 11, 1981 in Kirksville, Missouri, the son of Lonnie Lee and Penny Louise (Potter) Murr. Surviving are his daughter, Alyssa René Murr, of Edina, MO, his father, Lonnie Lee Murr, of Baring, MO; his paternal grandmother, Sylvia Murr, of LaPlata, MO; one sister, Crystal Karhoff, of Edina, MO; a niece, Natalie Howerton, and nephews, Jakob and Mason Karhoff, all of Edina, MO, aunts and uncles, Randy (Joy) Murr, of LaPlata, MO, Lisa Snyder, of Kirksville, MO, Clyde (Virginia) Potter, of Baring, MO, John (Cheryl) Vice, of Martinstown, MO and Rosalie Vice, of Kirksville, MO, numerous cousins, friends and his chihuahuas, Avie, Belle, and Mama. Josh was preceded in death by his mother, Penny Louise Murr, his paternal grandfather, Earnest Lee Murr, his maternal grandparents, Robert (Bobby) Potter and Virginia (Mountain) Potter, his paternal great-grandfather Clyde V. Potter, and an uncle, Robert (Bobby) Potter. Josh graduated from Knox County R-1 Schools in 2000. 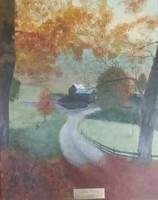 He was a talented artist that enjoyed painting, crafting, and decorating for himself and others. He worked as a caregiver for many years. He enjoyed cooking, hosting family gatherings and visiting thrift stores and yard sales, looking for antiques. His daughter, Alyssa, was his pride and joy and he never failed to share pictures of her with everyone he met. He had a special bond with his mother, who passed away last year after a long illness. He enjoyed spending time with his family and camping with his friends. Josh had a sweet nature and was loved by many. His family and friends will remember him fondly as a sweet, caring man that would do anything for anyone. A visitation will be held from 5 to 8 p.m. on Tuesday evening, March 26, 2019 at the Baring Hall in Baring, MO. Funeral services will be held at 11 a.m. on Wednesday, March 27, 2019 in the Baring Hall with Carolyn Snelling officiating. Music will be provided by the Clark family. Interment will be in the New Harmony Cemetery west of Novelty on Hwy 156 in Macon County. Casket bearers will be David Potter, Chris Hettinger, John Fox, Steven Miller, Dana Shirk and Nathan Zimmerman. Memorials in Memory of Joshua Murr may be made to the Alyssa Murr Scholarship Fund for his daughter’s college education. To send flowers to the family of Joshua Murr, please visit our Heartfelt Sympathies Store. To send flowers in memory of Joshua Lee Murr, please visit our Heartfelt Sympathies Store. We encourage you to share your most beloved memories of Joshua here, so that the family and other loved ones can always see it. You can upload cherished photographs, or share your favorite stories, and can even comment on those shared by others. Provide comfort for the family of Joshua Lee Murr by sending flowers. My condolences to the Murr families. I'm sorry to hear about the loss of dear Joshua. Some Bible scriptures that have helped me during times of loss include Isaiah 26:19 and Psalm 37:28,29 which states in part: "Your dead ones will live...They will rise up". And the Bible also says "The righteous themselves will possess the earth, and they will forever reside upon it". Therefore the Bible promises that we may be reunited with our loved ones lost in death by means of an earthly resurrection. This is further confirmed by John 5:28,29 which says "Do not marvel at this, because the hour is coming in which all those in the memorial tombs will hear his voice and come out". This is possible thanks to Jesus Christ's ransom sacrifice. Thus we have a genuine hope of everlasting life in a world without wickedness or suffering. So sorry to hear this about Josh! Prayers for all of you.